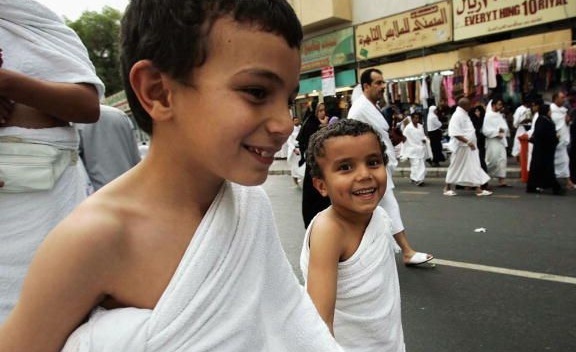 From a young age, many of us dream of going to Hajj - to see the Ka`bah in person, the Station of Ibrahim, drink ZamZam, perform tawaaf (circling the Ka`bah), wear the white garments of Hajj, and be with brothers and sisters from around the world in the greatest international gathering in the history of humanity. It is a rare opportunity for forgiveness, for change, for turning to the Creator, and for Paradise, insha'Allah. But as a person moves on in life, high school and university finish. There may be money left over, or loans that finally get paid off, and a person is in a position to perform Hajj. At the same time, there are many options in life. It could be marriage, travel or vacation - one has to choose. 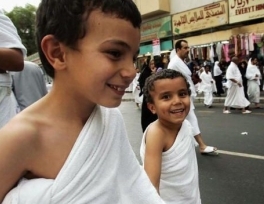 For the young, with all of life's possibilities tugging at the heart, here are a few reasons to put one's heart, efforts, and resources into making that life-long dream a reality: the journey of Hajj. Along with not knowing what may obstruct one if one does not take the open opportunity to perform Hajj, the Prophet told us to expedite the performance of Hajj. We are told to get it done, not put it on the backburner or be lax concerning its performance, or to put other things as a priority above it. It is a duty to be fulfilled for Allah , a pillar of Islam. For someone who has had the means to perform Hajj for some time and does not go, the Prophet informed us of the state of loss of such a person: "Allah said: 'Any of My slaves who is healthy and are of the means for five years, and did not visit My house, he is mahroom." (Ibn Hibban & Musnad Abu Ya'laa: 3703:1031) The direct translation of mahroom is "deprive," meaning a person who is able to go to Hajj and does not, has deprived themselves of something good and of benefits that cannot be imagined that will be regretted on the Day of Judgment. The Prophet said, "Keep on doing Hajj and Umrah, because they both eliminate poverty and sins just like a furnace eliminates the dirty impurities of iron, gold and silver. And an accepted Hajj has no reward less than Paradise!" (Tirmithi, Nisaa'i, Ahmad) It is important that we do not let our worries stop us from going, if we have the means. If we are concerned for our sustenance, one should perform Hajj with the expectation of improving its state, however Allah wills for that to happen. One of the most prominent features of Hajj is supplication to Allah . One does it so much on Hajj. But what is more, the supplication of Hajj is answered insha'Allah; and the best supplication is that of Arafah during Hajj. Now for the youth looking to improve their lives - to get that nice job, get into that school, improve their relationship with Allah and draw near to Him, marry that wonderful man or woman, have that a family member come to Islam or get back on the straight path, Hajj is the place to be. Hajj is where it's at. Think of having supplicated during Hajj and living life from now on benefitting from those supplications insha'Allah. Not only is Hajj a priceless opportunity for supplication, it is a chance to wipe clean the slate of one's mistakes and shortcomings of the past. "One who comes to this House for Hajj and avoids all lewdness and sins, he returns as he was on the day his mother gave birth to him." (Bukhari & Muslim) Imagine having all of one's mistakes wiped away, and having a clean and healthy conscience, mind and heart and a purified soul insha'Allah. Imagine experiencing this rebirth of sorts from a young age. It is a dream; it is priceless. But by Allah's Mercy and Compassion, it is insha'Allah within reach for those who make Hajj. Hajj is a great way of for young person to get a head start in cleaning up the shortcomings and mistakes of the past, and thereafter look towards a much brighter future insha'Allah. Hajj is also a chance for Paradise: "An `umrah to another `umrah expiates what is in between them, and the accepted Hajj receives nothing except Paradise." (Bukhari & Muslim) `Umrah is a like Hajj except it is shorter and can be performed at any time of the year. Not only is Hajj a chance to be reborn in terms of one's past mistakes and shortcomings in life, it is also a chance for the youth to take advantage of the fresh health they are often given by Allah , the Most Generous. "There are two blessings which many people do not make the most of and thus lose out: good health and free time." (Bukhari) Take advantage of this great blessing that is guaranteed for no one. Hajj is not only a spiritual, emotional, and intellectual experience, but also a very physical one. No matter how young or in-shape you are, you will stand to benefit from every last bit of youthful energy and physical health Allah has blessed you with during Hajj. From virtually every nook and corner of the Earth, men and women gather together in unity and submission to God during Hajj. Men all wear the same simple, white cloth garments; men and women perform the same acts of worship; young and old and even children participate; the rich and the poor mix. Everyone is equal before God and their piety is ultimately only known to Him, and He is their final Judge. Going through such an experience on a large scale with millions of people, insha'Allah, will open up the mind, heart, and soul to what it really means to be a human being amongst everyone on earth, much less what it truly means to be a Muslim in peaceful surrender to God.